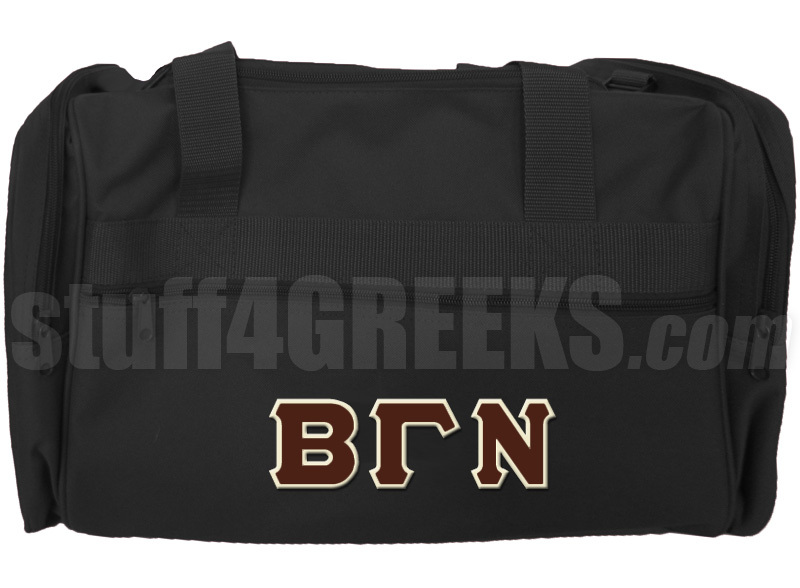 Black Beta Gamma Nu duffel bag with Greek letters across the front. It has enough room for a day at the gym or an overnight adventure. Don't like this duffel bag? Looking for something different? Click here to make your own custom Greek duffel bag.